For years, large chain restaurants and fast food brands have used Edmonton as a test market before they dispersed across the country, popping up on every corner and forcing local ma & pa shops to close their doors for good. Consumers are under the impression that chain stores, eateries, and shops offer lower prices and better guarantees on their products or services, but these are often misconceptions. There are plenty of perks when it comes to shopping at the smaller, independent businesses rather than corporate entities, such as inventory assortment, community support, or most importantly, the ever-elusive customer care. Edmonton's Yuri Gerchikov (left) and Leo Shifrin of Good Luck Socks, which started in 2013. That’s not to say that all local shops are kind and community-oriented, or that all big box stores lack a good customer experience. But, for the most part, it’s the smaller markets where you buy your eggs and milk, your next pair of shoes, or go to do your taxes, that tend to go the extra mile to satisfy the customer, and get them coming back for more. Quite often, these ma & pa shops also support local themselves, by purchasing goods and services from other local vendors, keeping the dollars here in Edmonton, and simultaneously cutting down on the middle man and their own carbon footprints. There are many folks and groups in Edmonton who are aware of this concept, and who champion buying local. 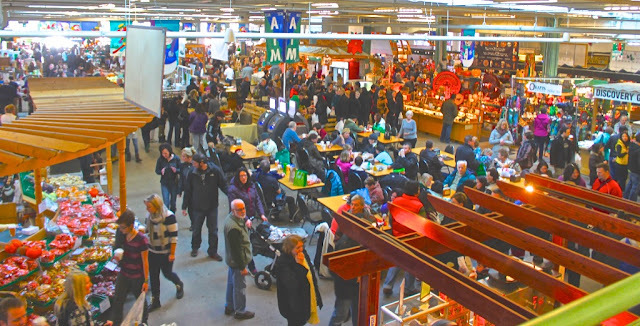 The Old Strathcona Farmers' Market is a great way to support local in Edmonton! 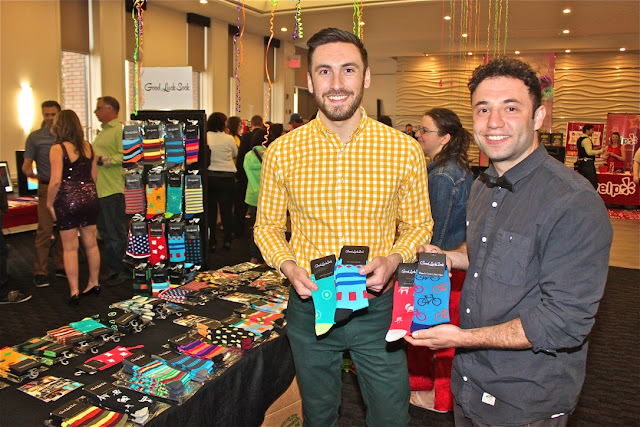 Startup Edmonton is another great example of encouraging Edmontonians to keep it local, by connecting entrepreneurs and product builders with imperative skills and the space and community necessary to grow their ideas and make them reality. Since 2012, Make Something Edmonton has helped kickstart well over 1,000 unique hometown projects, from campaigns and websites to products and even festivals, by connecting anyone and everyone to each other and to essential resources.